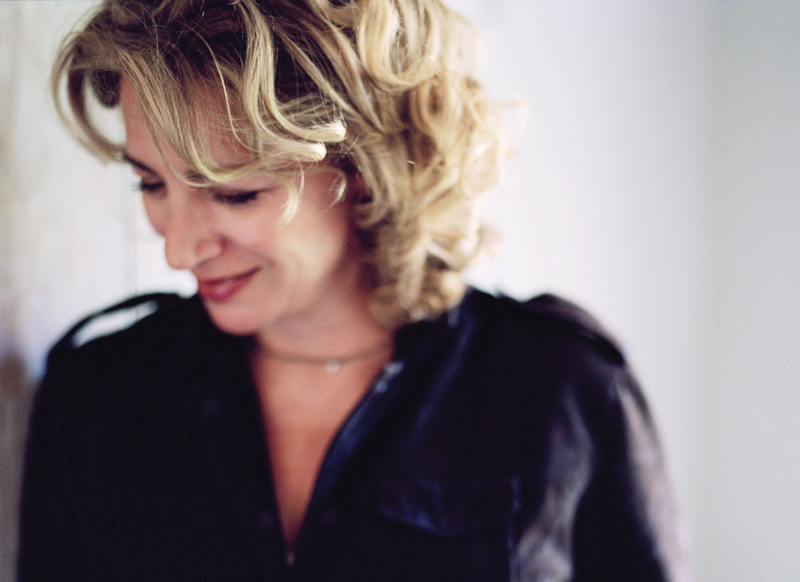 Above: Lucinda Scala Quinn, creator of Mad Hungry. Photography by Mikkel Vang. Lucinda Scala Quinn has a passion for the power of home cooking. 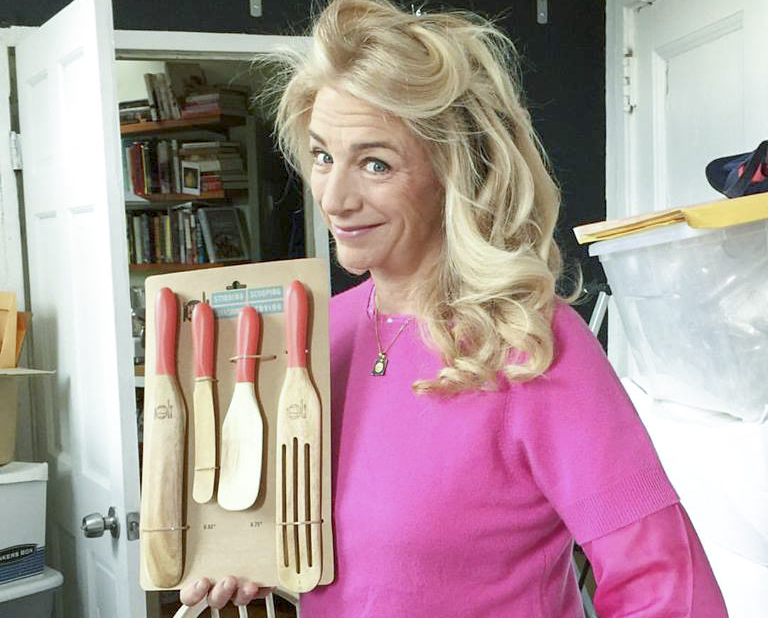 Brandishing her signature spurtle — a cross between a spoon and a spatula — like a magic wand, the New York-based cookery writer whips up tasty and nutritious meals, using staple ingredients, that are hearty enough to satisfy the most ravenous of eaters, including her 3 sons. 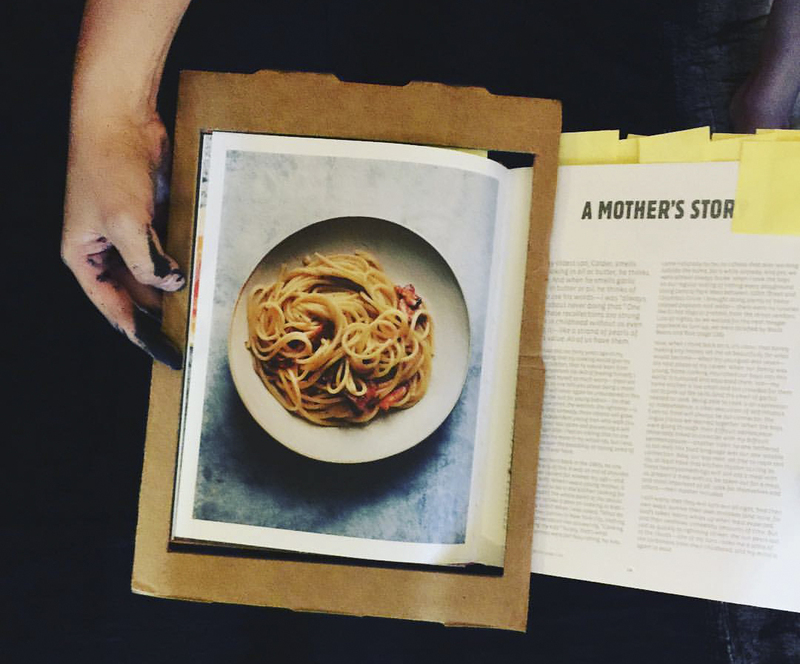 Inspired by their appetites and her mother’s instinct to nourish them well, the former Senior Vice President Executive and Editorial Director of Food and Entertaining at Martha Stewart Living has created an entire industry that champions the merits of the family meal. 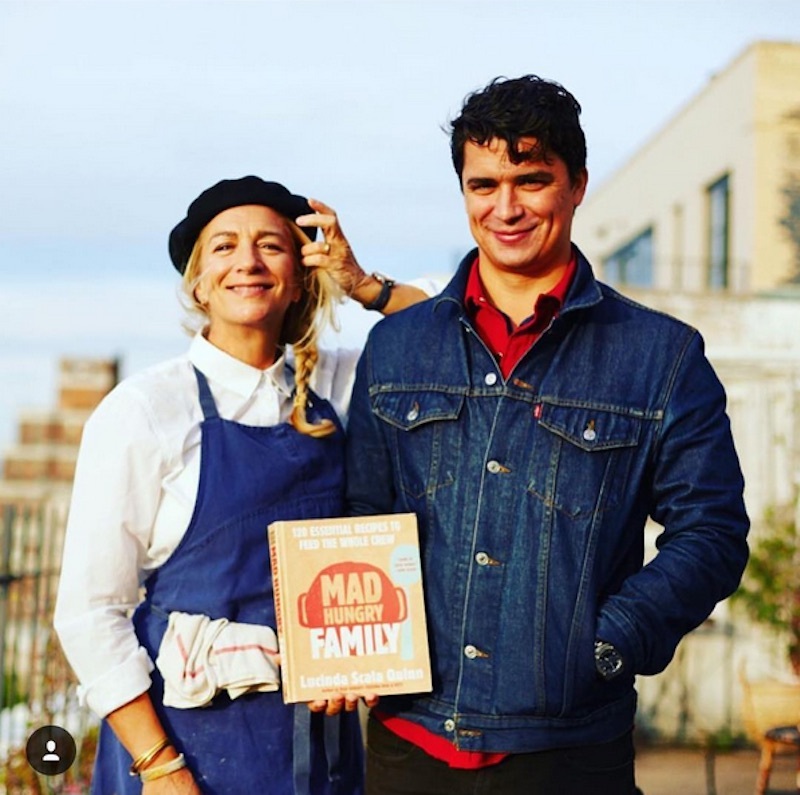 Her Mad Hungry trilogy of books, written as the boys were growing up, includes Mad Hungry: Feeding Men & Boys, Mad Hungry Cravings, and her most recent book, Mad Hungry: Family, a book that lovingly describes how she gave her boys the most valuable gift of all — the ability to cook. “If you cook for the people you love and teach them to cook for themselves, they will pass it on,” she says. Above: The opening page of Mad Hungry: Family, the last book in the Mad Hungry trilogy. Photography courtesy of Mad Hungry. Fabulous Fabsters: Please tell us more about the power of home cooking. Lucinda Scala Quinn: I’m a big proponent of the family meal because it’s the one place where you can have an impact on the physical, spiritual and emotional well being of your children. I like to think of it as a one-stop shop to wellness. 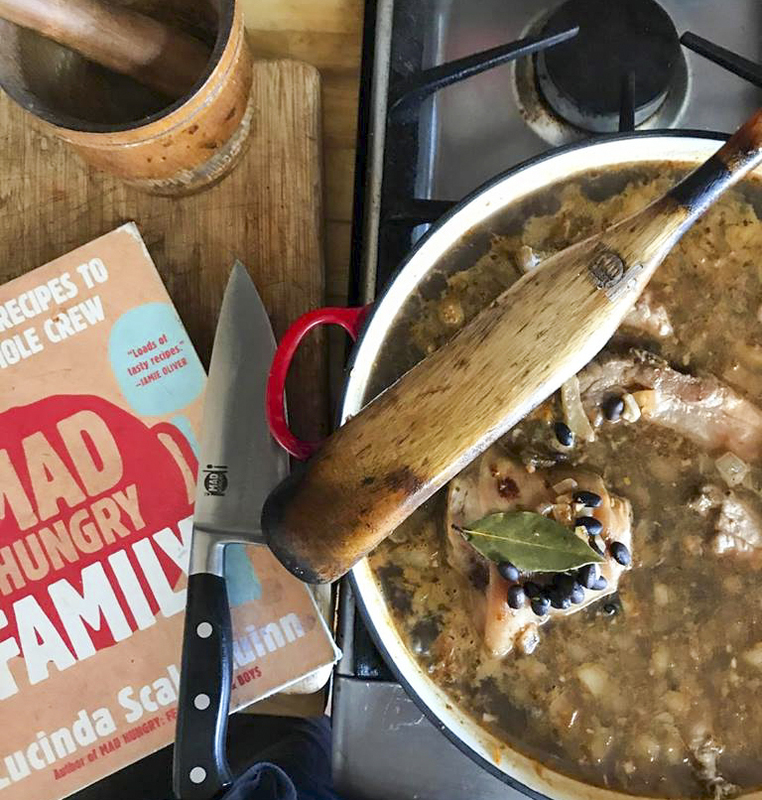 Over the years, I have hooked my sons, our friends and many strangers onto the merits of home-cooked meals and that is what my latest book Mad Hungry: Family is about. The book includes essential recipes and little tips that can help your family develop home cooking into an essential life skill. Committing to home cooking may seem daunting at first but the best way to cook is to give yourself no other choice than doing it. Above: Stirring black beans with a spurtle in the Mad Hungry Everything Pot. Photography courtesy of Mad Hungry. 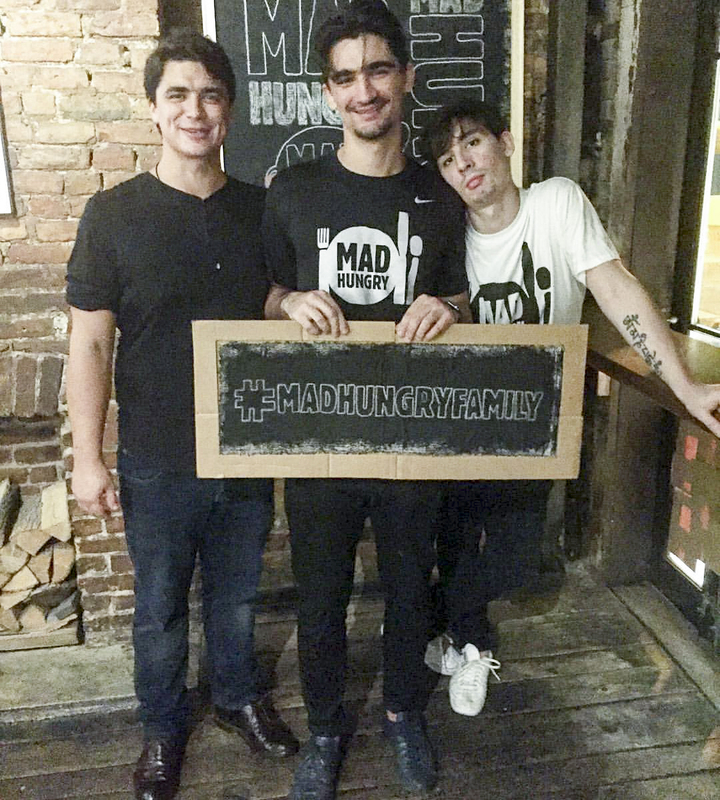 FF: How did Mad Hungry come about? LSQ: I first started working at Martha Stewart when my youngest son, Luca, who is now twenty-two, was seven. His older brothers Calder and Miles were 15 and 11 at the time. So there I was working everyday in this beautiful, pristine test kitchen where everything was about perfection. And then I would go home to the chaos of having a family of three boys to feed. The extreme contrast between the two experiences compelled me to write about what was going on with the boys and their food. The result was the first book of the trilogy — Mad Hungry: Feeding Men & Boys. Published in 2009, this was a cookbook of recipes, strategies and survival techniques for bringing back the family meal. 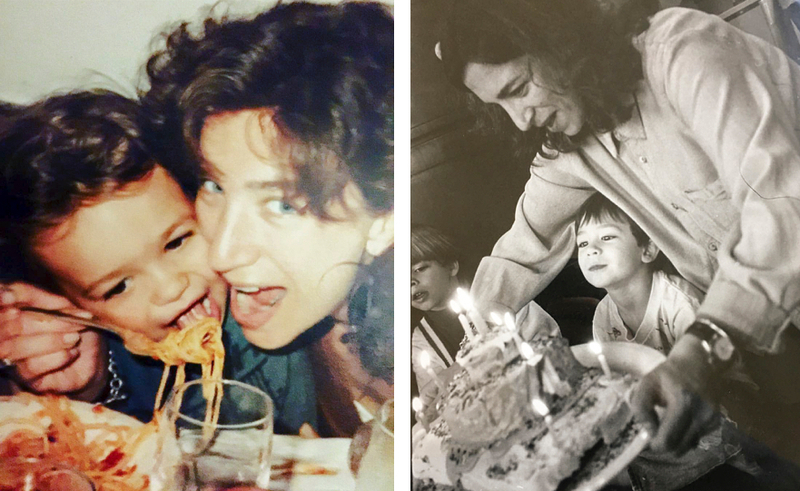 Above: Lucinda’s boys were the grateful beneficiaries of her home cooked meals r — sharing a bowl of pasta with her oldest Calder (L) and bringing a birthday cake out for Miles (R). Photography courtesy of Mad Hungry. FF: How did you come up with the name Mad Hungry? Above: All of Lucinda’s ventures have been a family affair. At her first entrepreneurial, culinary endeavour, a Jamaican food pop-up in Harlem called The Jerk Centre, she enlisted her mother and brothers to pitch in. Photography courtesy of Mad Hungry. 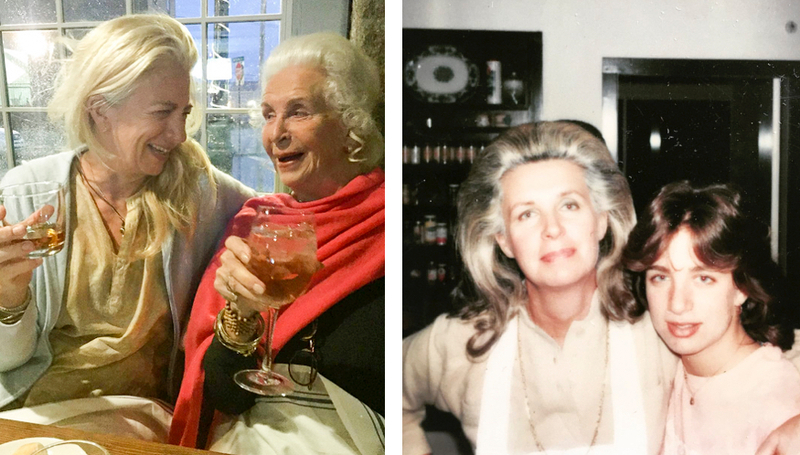 Above L: Lucinda and her eighty-six year old mother Rose. Above R: Rose and Lucinda. Photography courtesy of Mad Hungry. FF: Where did you learn how to cook? LSQ: I have a big Italian family on my father’s side. Watching and listening to my grandmother cook with her sisters, my great aunts, was how I grew up. The bickering about whose way of making meatballs was better and the ensuing chatter and laughter showed me how food could be an integral part of family life. 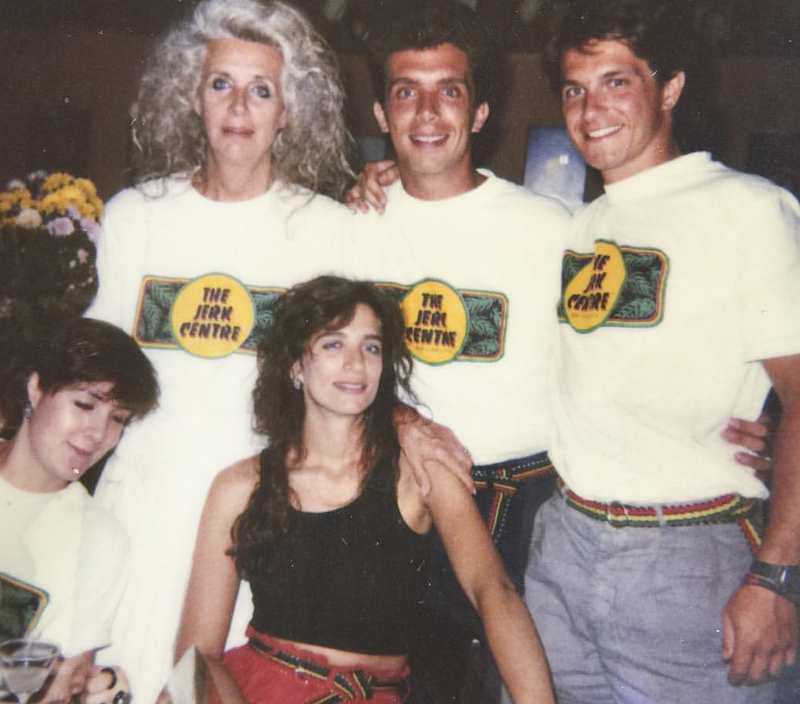 My non-Italian mother Rose navigated her own path of home cooking when she married into this family. She learned their recipes but made them more efficient in order to feed her family of six everyday — committed to home cooking in an era of frozen foods and TV dinners. She was and remains a great inspiration to me. Above: Lucinda and her oldest son son Calder. Photograph by Julien Roubinet for Makers Finders. FF: Have any of your sons followed in your culinary footsteps? LSQ: My oldest son, Calder, is my Mad Hungry business partner and my second son Miles is a chef. FF: As part of the Mad Hungry empire, you have repurposed and redesigned the spurtle into an all purpose cooking tool. Please tell us more. LSQ: The spurtle is my all-time favourite kitchen tool. This flat wooden utensil is a cross between a spatula and a spoon and was originally created in Scotland to keep porridge from getting lumpy while stirring. I appropriated it to make risotto, sauté meat and vegetables, even to whip up cake batter. It has an angled edge that makes it perfect for reaching into the corners of pots and pans. Over the years, I have added a few tweaks to the almost perfect design — a few different sizes and even a slotted spurtle. Above: Lucinda holds up the full range of spurtles that she has developed. Photography courtesy of Mad Hungry. FF: It sounds like every kitchen needs at least one if not several. Where are you selling them? 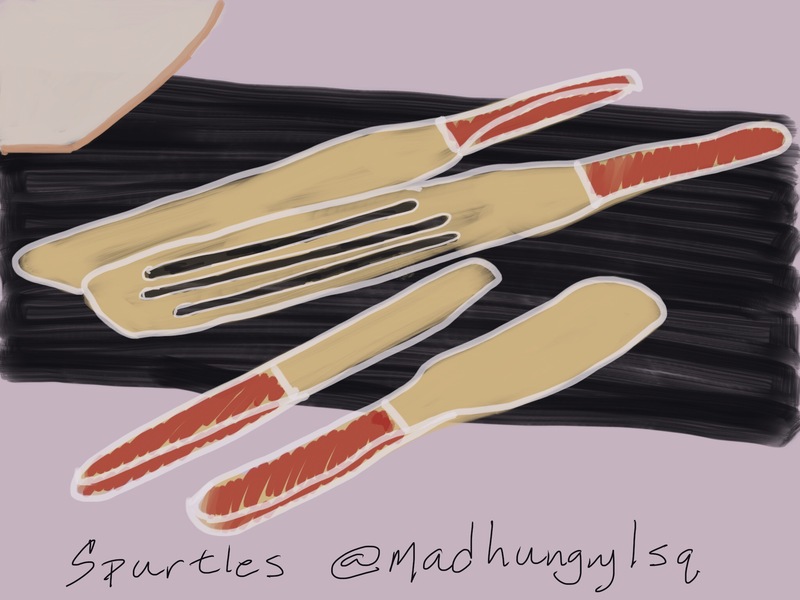 LSQ: The Mad Hungry Spurtles and a growing line of multi-use kitchen supplies are available on QVC. They are also available on the Mad Hungry website. Above: Follow Lucinda on Instagram @madhungrylsq for the latest information on her QVC sales. Artwork by Christine Chang Hanway. LSQ: On most days I need to be prepared for cooking, writing, walking in the city, being out or on camera. And that’s asking a lot from an outfit. But I’ve got it down — AG jeans, white cotton & linen & denim shirts, favourite tank of the moment (for layer shedding), seasonally appropriate cashmere (all 4 seasons! ), and a basic gray leather jacket from Fiorentini & Baker. For cooking, comfort and style, my shoes are from The Office of Angela Scott. I LOVE hats especially berets and I never go anywhere without a Blue Braggard Apron. My bag of choice is a Filson tote — I carry everything in it. LSQ: Dry beans, legumes, brown and white rice, canned tomatoes, canned tuna, sardines, nuts & seeds, dried fruit. olives, peanut and almond butters, garlic, onions, shallots, pasta, oils, vinegars, salts, peppers, soy and fish sauce, sesame oil, wine, coffee, tea, and chocolate. 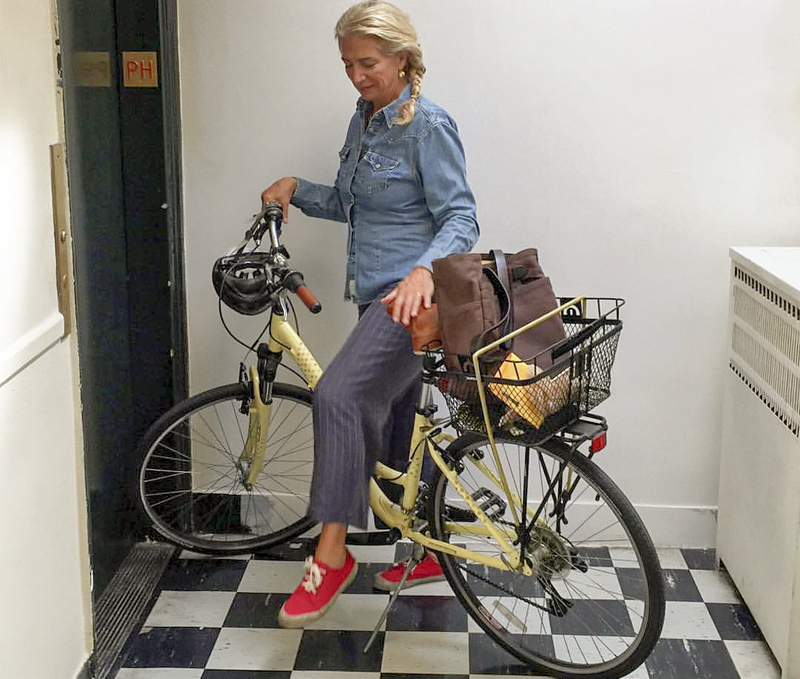 Above: Lucinda gets ready to bike to her next meeting. Photography courtesy of Mad Hungry. FF: Other than your family, what do you hold dear to your heart? LSQ: The wellness of hungry children. Above: Lucind’s sons, The Mad Hungry boys who started it all. Photography courtesy of Mad Hungry. A Fabulous Fabster thank you to Lucinda Scala Quinn! How I enjoyed this post, I have admired Lucinda at MS, have made a few of her recipes, she always made them easy to follow and delicious. As a mom of two boys (almost men) I am a believer of homemade dinners daily. Thanks for showcasing these amazing women !! Great story and love how her business developed from her family life. I am now desperate to get my hands on a spurtle! !